Dressember 8th, originally uploaded by Lazy Seamstress. 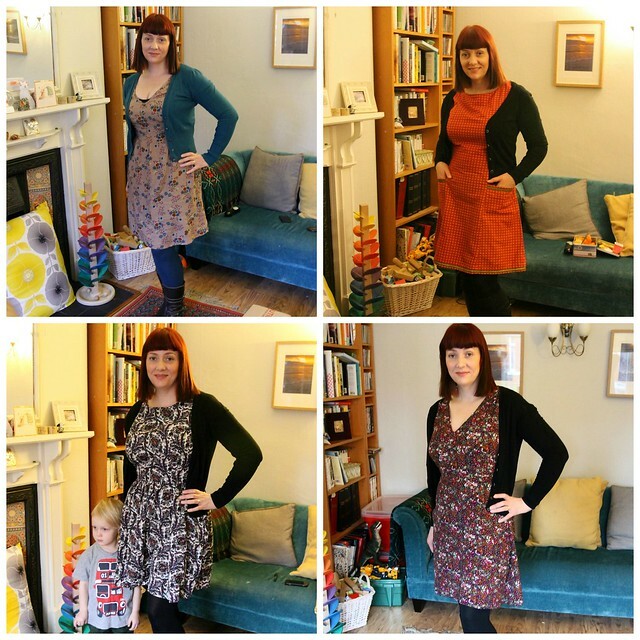 This is the third year running I have taken part in "Dressember", a month of wearing dresses. Now, most people who know me know I pretty much only wear dresses anyway, plus skirts. I rarely wear trousers or jeans, and only give in and wear yoga pants for yoga and running tights for running/walking. I like taking part though,it's fun to share photos with friends who are also taking part. 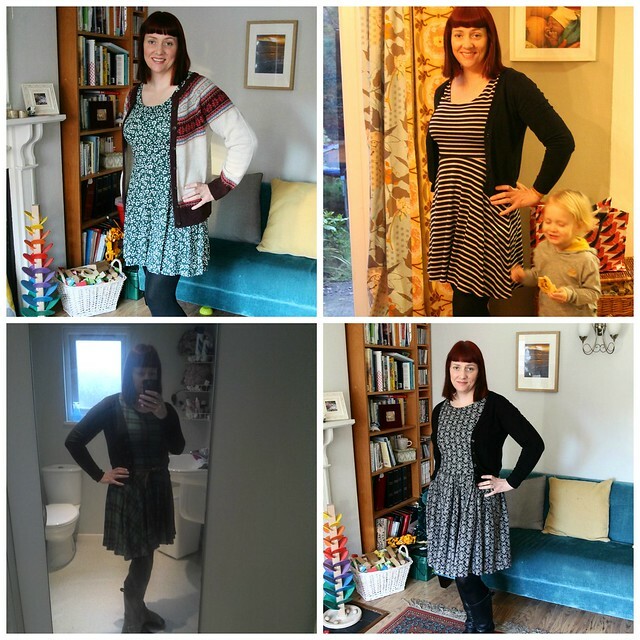 I have been sharing "Dressember" photos with my friends on Facebook since 2011, but I believe the group had existed for several years before then. Some people join in to raise money for a favourite cause, some people like me just enjoy chatting frocks with friends. This year our little group has had to change it's name to Advent Of The Dresses, because I believe "Dressember" is now trademarked as an official charity, with stricter rules. That's ok for some, but for me it doesn't work. I prefer to make my own rules as I go along and have fun my way, with my friends. I'm trying this year not to repeat any dresses, I need to update my wardrobe, and "Dressember" is a great way to weed out anything that no longer fits or feels right. I'll try to wear as many of my self made dresses as I can, and will hopefully by January have a much better idea of the kind of dresses I want to make in 2014. The photos here are the first 8 days of this December. A couple of these dresses will probably not make it through to next year. Want to know more? Cassy Fry explains here. Its hard to say, but I think I like the red one best, maybe because it is coming up for Christmas lol. Your hair is so pretty Jeanette, it really suits you. Still getting used to my hair, honestly I don't think I like it. Gorgeous! 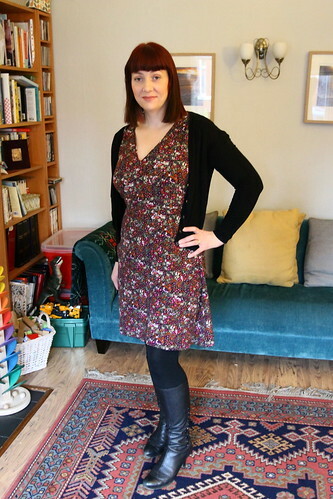 Love dress number eight the colour looks good on you and it has a Christmassy feel. Really like the dress in the first photo. Is it new? The whole arguing about the name and the 'new' group has take the shine off it for me this year :( (not that I have had time to do it anyway!) I am still following everyone else and hopefully will be able to squeeze a few dresses in! I will make sure I have something special to wear!